For stock held in brokerage accounts, your broker can assist you in making a gift of stock via a direct transfer to the CCIM Foundation. Giving a gift of publicly traded stock that has increased in value and that you have owned for more than one year may provide better tax benefits than giving cash. Your charitable income tax deduction is equal to the fair market value of the stock and you avoid paying the capital gains tax on any increase in the current value over the original cost of the stock. You may also save on brokerage fees because you are transferring ownership rather than selling the stock. Please download the “Gift of Stock” form. Follow instructions to formalize ad execute your charitable gift, and be sure to email the completed information on page 2 to the contact on the form. These steps will inform the CCIM Foundation of the proposed donation and ensure that you will receive a prompt receipt of your fit for your tax records. 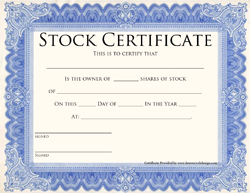 Download the Gift of Stock form here.